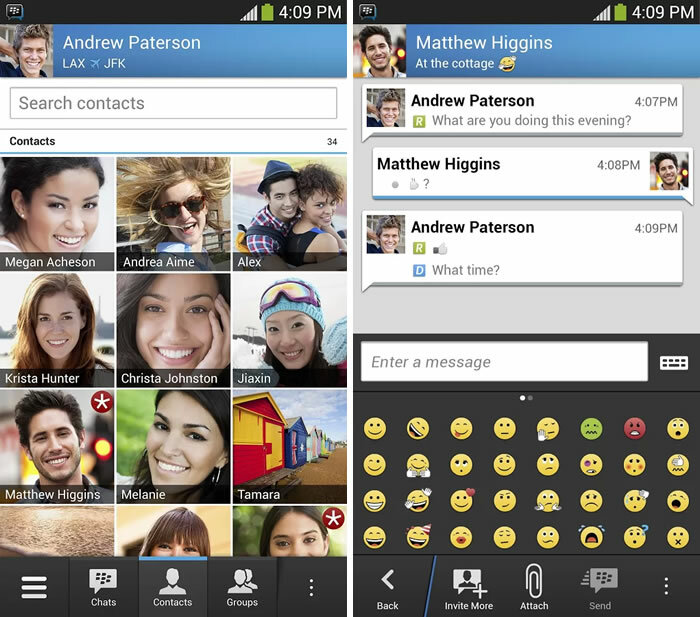 BBM for Android and BBM for iOS users is now available for download. BlackBerry has finally released the much awaited BlackBerry Messenger, but all is not well with the BBM as there is a waiting list for users who want to use the service, and even if you get in the service is plagued with temporary server errors. BlackBerry is supposed to release BBM last month, but postponed due to a beta version leak that hit the service badly and several fake apps popped up adding to the confusion. This has made BlackBerry to postpone BBM. Users can download BBM from Google Play Store and Apple Appstore now. But there is a waiting list for the service unless you added your email address at bbm.com. If you have added your email address you can create a BlackBerry ID and start using the service. Even if you get in to BBM, the service is disrupted due to huge demand, I myself created BB ID but when I login I am getting “Temporary Server Error”. The demand for BBM is huge right now so we might experience these kind of errors often, or atleast until BlackBerry does something about this rush. BlackBerry will compete with several messaging apps like WhatsApp, Line, WeChat and more. It will have an advantage over others as BBM is known for its security. But WhatsApp is hugely popular and will give touch competition to BBM. It is interesting to watch how this will unfold in the next few months.